Today, I will introduce a brand Ouray. First of all, let’s see two caps. Ouray Small Fit Perform Epic is a good example. It is made of 100% ultra lightweight polyester. It features are smaller version of the performance epic, cool-tech sweatband and ultra light weight. Moisture wicking and quick drying are the new function. Keeping your cool regardless of conditions requires this cap. Unstructured low profile is for a relaxed in summer. Pre-formed, memory visor remembers its shape. It is easy to put on and off this cap. Ouray Small Fit Lgwt Epic is another option. It is made of 100% ultra lightweight cotton twill. So it is so breathable. It’s smaller version of the lightweight epic. I believe the feature of unstructured low profile is suitable for outdoor activites. It is ready for screen printing and embroidery. Now, I will give the suggestion of two special design caps. The first one is Ouray Eclipse. It is made of 100% ultra lightweight polyester. Stay ahead of the competition in this cap. One of the great features is soft cotton terry sweatband. It will be so convenient and comfortable. Full size brim is another charming element. It is ready for screen printing and embroidery. Ouray Washed Twill River Cap is made of 100% washed cotton twill for the comfortable. Contrast under brim is stylish. Adjustable chin cord is one of the features. 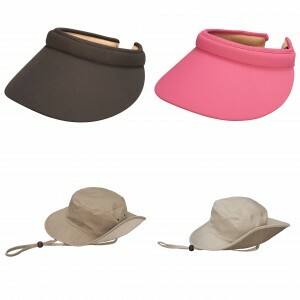 This cap is breathable for brass side eyelets, suitable for outdoor activities. It’s breathable for brass side eyelets. You can choose between the two colors. 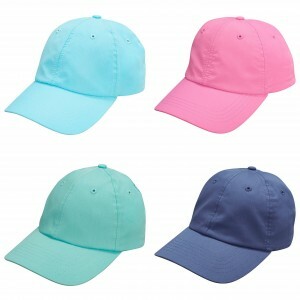 You can choose a cap which is designed to make you satisfied and eye-catching in any casual occasion. Let’s see the Ouray Mile High 5280 Flat Brim Mesh Back. 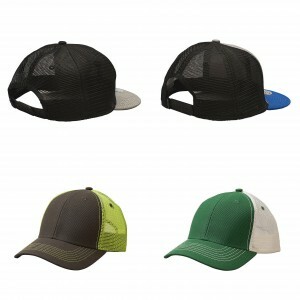 It is made of 100% cotton front panels and brim, 100% nylon back mesh. Structured, high profile with flat brim make this cap durable. 5280 Mile High sticker on brim is one of the important elements. Plastic snap closure is convenient to put on/off. You can choose among the four colors. Then buy your child a Ouray Youth Sideline Mesh Cap which is made of 100% cotton twill front panels with nylon mesh back. It features structured medium profile, contrast stitching, eyelets & button. It also owns plastic snap closure to make you easy to put on/off. There are more then ten colors for you to choose. Now, tell me what do you like best in the comments.